That’s my unprofessional, uneducated and musically talent-less opinion of the sound created by a team (a whole team, for goodness sake) at Microsoft to be played upon opening new Windows Vista operating system. It’s four seconds worth of poorly computerized music that these folks took 18 months (!) to write and produce! I don’t know how to write or play music but I know what works. This music is “ok” but for 18 months work I expected something a bit better. Here’s a link to the sound in this article. What do you think? Truth be told, it never takes much incentive to get me to go to Toronto for anything. While I don’t spend nearly enough time there, I always enjoy the city when I go there — it’s a huge city that to me still has wonderful vibe. The people, the shops, the architecture — all of it. Toronto ’s a great place. So combine my love of Toronto with audio production (some of my favorite clients are in Toronto — you know who you are) and I am soooo there! audio’connell Voice Over Talent (well, ok, just me) will be presenting a seminar and sitting in on a panel discussion during PodCamp Toronto 2007. At this “unconference” (I like the sound that already) February 27 & 28 at Rogers Communications Centre at Ryerson University. 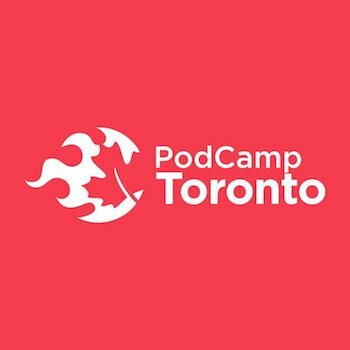 I’ll be presenting “Pod Presence” focusing on how to make pod casts sound really ear-gasmic in other words a podcast listeners would want to listen to again and again. You can register here (its free to attend) or through the link on my links page. Come on along, it’ll be fun. BTW, podcast is another one of those undefined spelling words: is it podcast or pod cast? Like the ago old question: is it voiceover or voice over? Only the search engines know for sure. PS (1.15.07) Here’s a link to a TV interview Leesa Barnes did which explains PodCamp Toronto in even greater detail. 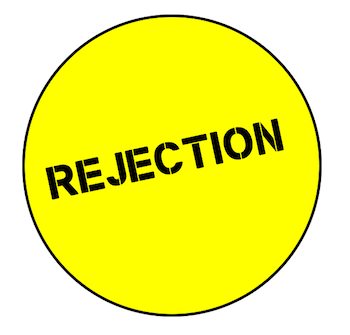 Goodness knows I have been on the receiving end of professional rejection many times in the voice over business. I’ve gotten to the point when I do auditions, I find it’s safer just to assume I didn’t get the job so that I can enjoy the surprise when I am called in to do the project. Rejection is part of my job. Sometimes I am the bearer of bad news, especially to other voice over talents who contact me, unsolicited, to ask if I have work for them or if I could feature them on my site. My answer is no. Hey, I’ve been out there, beating the pavement for voice work (a more glamorous term is marketing, but we’re all friends here, no need to be glamorous). And I know you gotta ask if there are opportunities…”all they can say is no”, right? No harm in “the ask” except for my rule: voice talents that are featured on this site are recruited by me, they didn’t solicit me. They didn’t send me a demo or ask to be listed on the site…I came across their unique sound; I contacted them and said “Come on, let play!” If they had pestered me for work they would have all but assured themselves of never ever getting on the roster. Does that make the voiceover roster at audio’connell Voice Over Talent exclusive and exclusionary? Yes. Not everybody gets to play.That does not mean that those who don’t get invited are talent-less. They have talent, loads of it usually but not the “right” sound; it’s my personal taste, one that my clients rely on me for. So, sadly, my answer is no.